Most of us have heard of probiotic foods due to the varied advertisements which frequently come on the telly. 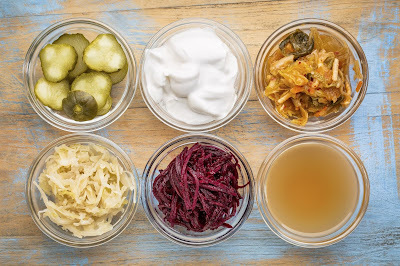 In this scientific world, it is evident that the popularity of probiotic food would rise every single year, for the benefits of such are far-reaching. What is probiotic? Well, to put it simply, these are the bacteria that are good for the body but which get destroyed due to the harmful bacteria or because of antibiotics. These bacteria live throughout the body, especially in the gut, and are extremely important for the entire digestive and excretory procedure in the human body. Pretty simple, and commonly available, yogurt or Greek yogurt is quite possibly the best source of probiotics. In order to get the best out of them, try to look for the ones which have goat’s milk rather than cow’s milk. This difference matters, for the previous can be digested much easily and contains a whole lot of protein and vitamins. Kefir is a probiotic drink, made from fermented goat milk and grains of kefir. This drink is considerably rich in lactobacilli and interestingly, anti-oxidants. Thus, it is inevitable that this drink is really good for our health, especially the organic ones. Therefore, you know which one to go for. For those with lactose intolerance, this drink is made from coconut milk mixed with Kefir grains. This change in the liquid can also bring forth several new benefits as coconut milk is generally fibrous in nature. Also, the taste can be improved by using stevia or lime juice. Vegetables usually don’t fall under probiotics, but sauerkrauts do. These are actually cabbage that have been fermented and thus contain rich amounts of Vitamins. Also, they take care of allergy symptoms. Not necessarily probiotic in itself, it helps in transferring it to the body. Thus, it makes the cut. These are all the algae we consider to be super-foods. They aren’t probiotic themselves but help in the growth of probiotic bacteria in our gut. Filled with probiotics, Miso soup is essential for any Japanese home. The recipe is quite simple:-rice, fermented rye, and some miso are mixed in warm water. Apart from having a horde of probiotics, this soup does not allow carcinogens to reproduce in our body, thereby preventing cancer. Constituted from fermented Soybeans, natto helps in the production of Vitamin K and especially helps in anti-inflammation of the gut. Furthermore, it also helps in preventing cancer. Pickles have always been the black sheep of the vegetable family. They aren’t necessarily well-liked throughout the globe, but they do have health benefits. Tempeh is a vegan’s delight. Tastes similar to meat and way tastier than tofu, it is a fermented version of soybean, which is either eaten baked or added to salads. This food item is filled with vitamin B12, and also makes for foods that require less iodine. The most useful tea in the market for health enthusiasts, Kombucha tea helps in weight loss. This is a beverage made from fermented rye or barley, which has a slightly sour taste and is used for cleansing of our liver and blood from poisons and bacteria that are harmful. The only form of cheese which you should buy is unpasteurized. Goat milk cheese would be a better option than cow’s milk cheese as it can be digested easily. Although this one is quite pungent and strong, it is actually the best probiotic drink there is. It is a staple for almost every family and should be served with salad. Another way to take it would be to mix it with water to dilute the taste a bit. Give them a try and see the results for yourself.